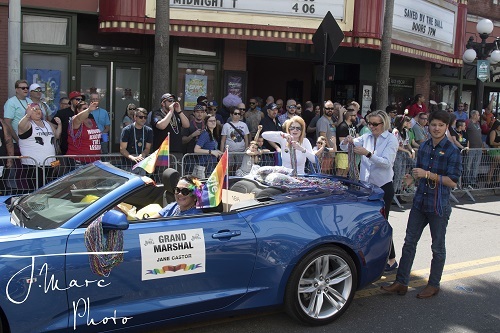 As Tampa highlights its diversity with the fifth annual Tampa Pride March 30, Jane Castor—the celebration’s two-time grand marshal and arguably one of the city’s most stalwart servants—will continue her journey to become Tampa’s first openly LGBTQ mayor. Castor, who will face retired banker and philanthropist David Straz in Tampa’s runoff election April 23, is familiar with firsts. Ahead of her 31 years of service with the Tampa Police Department, which she began as a beat cop patrolling the city in 1983, she was elected the first female president of a Tampa Police Academy class. She subsequently became the city’s first LGBTQ liaison, working to strengthen the relationship between the LGBTQ community and the police department. Castor fostered that connection until 2009, when she became the first openly LGBTQ officer and woman to serve as Tampa’s chief of police. It’s that mentality and dedication to the city that she carried into her campaign to secede the term-limited Tampa Mayor Bob Buckhorn, a staunch LGBTQ community ally. Speculation that she would run for Tampa’s highest municipal office began in 2015 after her retirement from the police department, continuing until Castor officially announced her candidacy April 19, 2018. “Many of you know me as your chief of police, where I led an agency of 1,300 public servants who worked each day to keep our city safe. 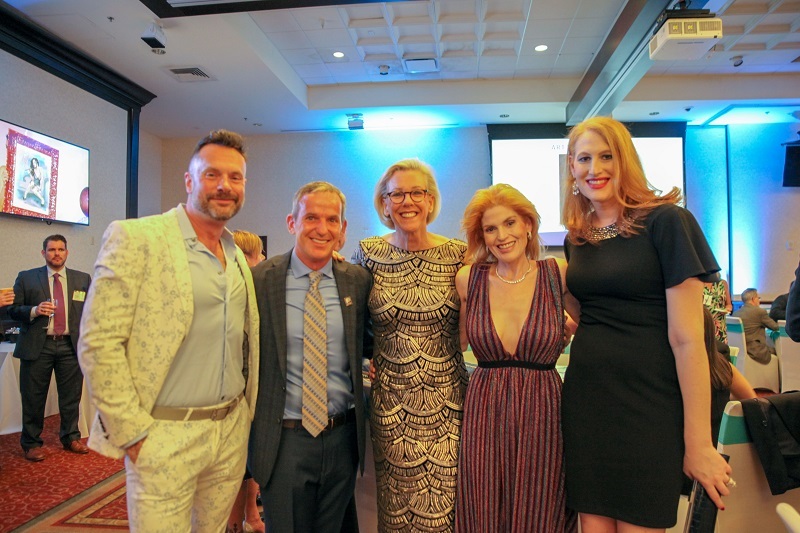 Others know me as their neighbor and community leader who has stood beside them for the betterment of the city we love so much,” Castor shared. As of Tampa’s March 5 municipal election, 23,318 Tampa citizens did exactly that. Of the city’s 237,752 registered voters, 48,863 cast their vote in a seven-candidate race for a turnout of just over 20 percent. Castor won 101 of Tampa’s 103 precincts and 48 percent of the vote, just under the 50 percent threshold to win the majority and avoid the April 23 runoff election. In second place was Straz, who received 7,518 votes or just over 15 percent. Connecting with the community led the campaign to focus on neighborhood empowerment, the city’s transportation, affordable housing and Tampa’s sustainability and resiliency. She says her potential administration will focus on neighborhood leadership development, modernizing and navigating Tampa’s services, building a better, brighter future in Tampa by molding the leaders of tomorrow, spending public funds on resources that provide services to Tampa’s residents and more. It’s led to a number of enthusiasts across the city, but also to statewide and national equality-focused organizations working diligently to ensure Castor’s strong showing ahead of the election. The candidate was endorsed and supported by Equality Florida Action PAC, Florida’s largest political committee dedicated to electing pro-equality candidates; LGBTQ Victory Fund, the only national organization focused on increasing the number of openly LGBTQ elected officials at all levels of government and LPAC, dedicated to building the political power of LGBTQ women. 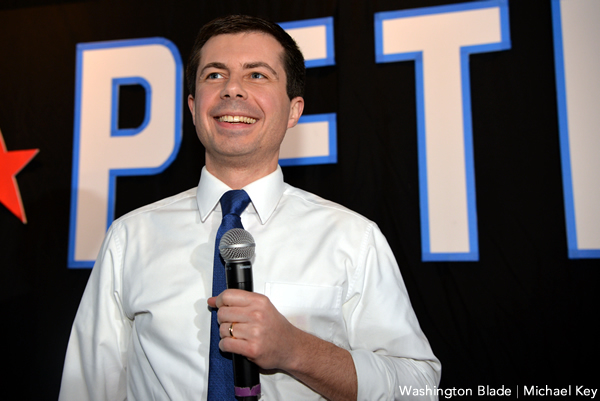 On March 28, Castor also received the endorsement of the Human Rights Campaign, the nation’s largest LGBTQ civil rights advocacy organization. “As a former big-city mayor, I understand well the qualifications and temperament necessary to successfully run a city like Tampa, and Jane Castor has what it takes,” former Houston Mayor Annise Parker, now president and CEO of LGBTQ Victory Fund, released. Castor, who is also endorsed by the Hillsborough LGBTA Democratic Caucus, vows to continue her fight for equality as mayor. She says she will do “everything that I can legislatively” to protect the rights of Tampa’s LGBTQ community, acknowledging in particular the city’s transgender citizens and LGBTQ youth. 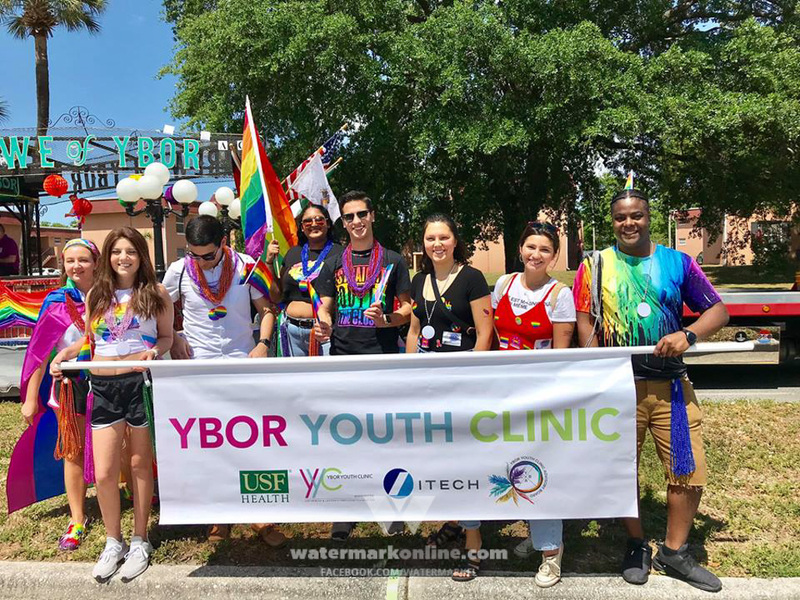 In January, a federal magistrate judge recommended that the city be barred from enforcing parts of its ban on the discredited practice of conversion therapy on LGBTQ youth. In a report dated Jan. 30, U.S. Magistrate Judge Amanda Sansone argued that the ordinance violates the free-speech rights of conversion therapists. The report advised that Tampa “may not enforce the ordinance against mental health professionals who provide noncoercive, nonaversive [Sexual Orientation Change Effort] counseling—which consists entirely of speech, or ‘talk therapy’—to minors within the city limits.” It does allow the ban to be applied to techniques like electroshock therapy. The federal Ninth and Third Circuit courts have previously upheld conversion therapy bans in California and New Jersey and the magistrate judge’s report was sent to a federal district judge to issue a ruling. Castor says she knows the judge, adding that she is fair and open-minded. “If portions of any of these ordinances or laws are struck down, then I will champion the equal treatment as a community. You shouldn’t have to have an ordinance that tells you do to the right thing, so that would be my mantra to the community—we’ve always been inclusive. It’s something her potential predecessor understands well. In Oct. 2018, Tampa received a perfect score of 100 in the Human Rights Campaign’s seventh annual Municipal Equality Index. The report examines how inclusive municipal laws, policies and services are for LGBTQ people who live and work in each city rated by the organization. It’s based on nondiscrimination laws, the municipality as an employer, municipal services, law enforcement and the city leadership’s public position on equality. Mayor Buckhorn celebrated Tampa’s diversity as a key part of its strength. “Tampa is stronger and more competitive when we all pull together and I am proud that our commitment to human rights for all our citizens is being recognized,” he shared. Castor says she will continue the city’s perfect scoring as mayor. “Nobody is asking for special treatment,” she says. “Everyone is just asking to be on an equal playing field and that I believe is what the city of Tampa stands for. Mayor Buckhorn gave Castor a glowing endorsement March 6, noting she had been his choice to succeed him since the race began. “In the case of Jane Castor, for 30 years, she has dedicated her life to serving the people of this city. She’s patrolled these streets. She knows every neighborhood in this community. She’s been a part of this transformation,” Buckhorn shared from Tampa’s Water Works Park. Her win would be historical, Castor acknowledges, but that isn’t her focal point. “As I said when I was appointed as the chief of police, I didn’t want to be remembered as the first female or the first LGBTQ chief. The same thing holds true as the mayor. I don’t necessarily want to be remembered as the first; I want to be remembered as a good mayor for all citizens. The city of Tampa’s runoff election will be held April 23, with early voting April 14-20. For more information about the election, visit VoteHillsborough.org. 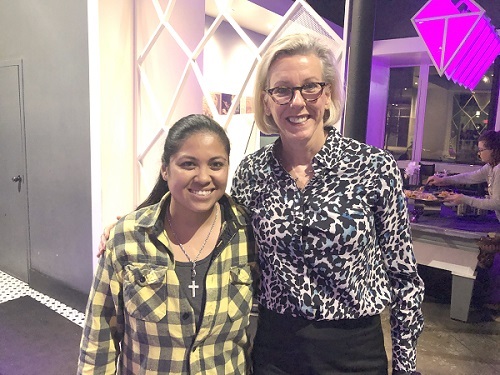 For more information about Jane Castor, visit JaneForMayor.com.